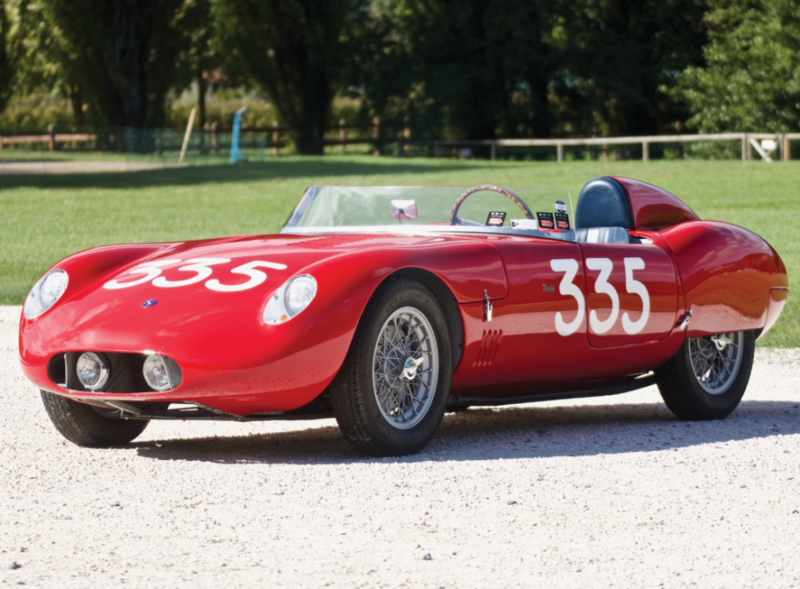 OSCA was founded by a couple of the Maserati brothers after they left the company that bore their name. In existence for only 20 years (1947-1967), the company produced mainly sports racing cars, some of which just happened to be road legal – but road cars were not their primary concern. The MT4 was actually their first product, going on sale in 1947. Different engine sizes were used and many of them sported different bodies. For example, here is a Frua-bodied car with a 1.5-liter engine. The car you see here is powered by a 1.3-liter straight-four. OSCA built 72 examples of the MT4 from 1947-1963, a long time in race-car-land, which should say something about how good they were. The original body was an aluminum structure hand-built by the car’s original owner. It was ruined in an accident during the 1959 Targa Florio, and this Morelli coachwork was fitted in 1959. This Italian racer has Targa Florio race history. What more do you want? It should bring between $1,250,000-$1,500,000. Click here for more info and here for more from this sale. This entry was posted in Uncategorized and tagged 1350, 1955, auctions, cars, classic cars, morelli, mt4, MT4-2AD, osca, race cars, rm sothebys by classiccarweekly. Bookmark the permalink.